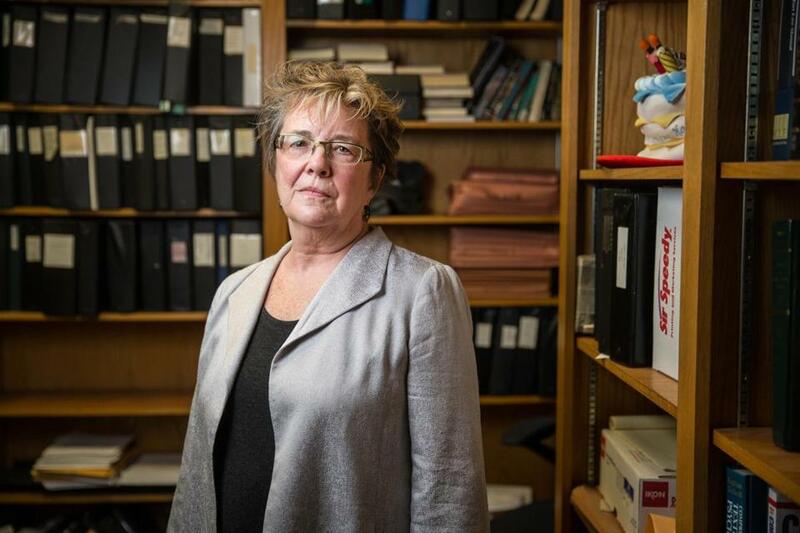 For 17 years, Leslie Walker has headed Prisoners’ Legal Services of Massachusetts, fighting for the rights of inmates in the state’s prisons and jails. Her clients are the least popular people on the planet. Her opponents hold almost all of the cards. Her victories are mostly unseen, and definitely unheralded. How has Leslie Walker lasted so long? For 17 years, Walker has headed Prisoners’ Legal Services of Massachusetts, fighting for the rights of inmates in the state’s prisons and jails. Day after day, she and her colleagues take on impossible battles, like securing health care for inmates languishing without the medications they need; getting men released after torturous months in solitary; convincing our leaders that denying inmates’ humanity compromises their own. Her work is hard, heartbreaking, holy. Walker fights for an acknowledgment of gray in a world inclined to black-and-white. It’s easy to see inmates as evil, and those who live outside the wall as good. It’s much tougher to see that they are often products of their circumstances, brought low by failings that belong to us all, in some measure. Before she went to law school at Northeastern, Walker worked in special education, with kids who had emotional issues and lived in neighborhoods strained by poverty. On her first visit to MCI Walpole more than three decades ago she saw those very same kids, grown up. She fought their cases one at a time. There were some victories, and many heart-breaking defeats. She kept going, Walker said, because her clients were often wonderful and resilient, and desperately wanted a shot at productive lives. But seeing inmates that way — “as human beings who ought to leave prison, if not better than they came in, then certainly not worse” — requires a courage this state has had difficulty mustering. As Walker’s friend, attorney Patty Garin, puts it, this state is in “the dark ages,” when it comes to prisons. Walker has spent almost two decades nudging governors and legislators towards greater humanity. And she has done it by patiently bringing them along with her, rather than throwing bombs. The best governor for prison reform? Republican Mitt Romney, whose public safety officials relied on evidence rather than public opinion, and who wanted to reduce crime, and costs, by turning out former inmates better equipped for the world, she said. Since Romney left office, Walker’s work has been a slog. But the logjam broke this year, when legislators passed a criminal justice reform package with immense promise: It allows for easier medical transfers for seriously ill inmates and limits long-term solitary confinement, among other key steps. Walker won’t be on the front line to see the changes, however. She retires from Prisoners’ Legal Services this month. She knew it was time to go a couple of years ago, when a colleague was describing how corrections officers had shattered an inmate’s shoulder. Though she has been on the receiving end of such stories for almost two decades, Walker felt jolted by every detail, as if she’d been hit with a Taser.